Among the list of biggest corporations in the world sits Google, a company with over 85,000 employees and a portfolio that just about nobody can compete with. As much as Google dominates the world in 2018, it wasn’t always that way. 20 years ago the company looked very different. It was funded with only $100,000 and run by a few dozen employees when it began its journey in 1997 with ambition that seemed like an intangible dream. Those dreams soon became reality, but not without a lot of hard work and iteration. In this feature, we’re going to look at how Google’s services have evolved over the years, and with that gain some insight into how this company managed to topple thousands of tech giants at the turn of the century. Shortly after registering the Google.com domain in 1997, Google released the first publicly available iteration of its search engine. It was simple at the time, displaying lists of results and even donning the legendary “I’m Feeling Lucky” button. Lacking any advanced features, but sporting arguably the most accurate results of its time, Google quickly earned a reputation for being the go-to place for finding what you need on the internet. But with a sea of competitors to battle against, from Yahoo! to Lycos, and AltaVista to Ask Jeeves, it had a long way to go before securing dominance. 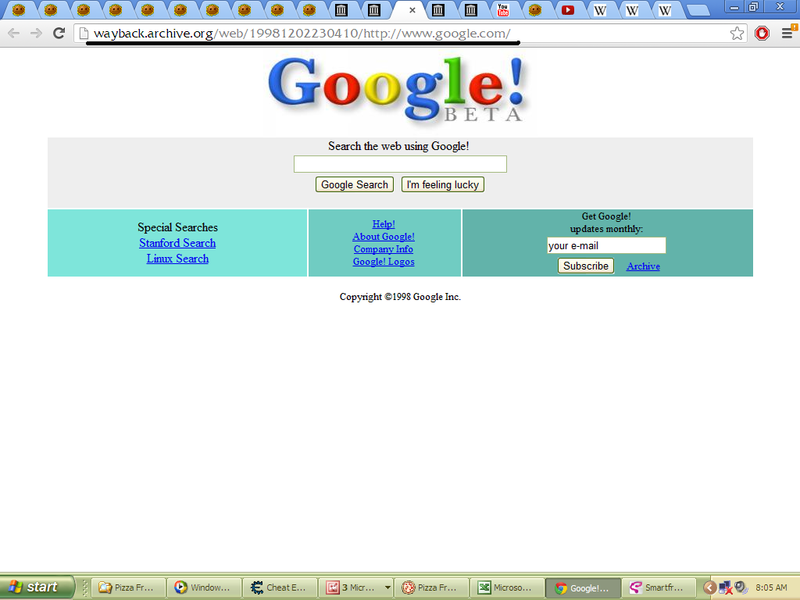 By mid-1999 Google had been polished tremendously, and with that, it exited beta and entered official release. Google’s first release version was cut and dry but did have a small news feed at the top of search results that was extremely popular at the time, performing as the first real digital competition against the newspaper industry. This was also the most lightweight version that Google has ever seen, providing incredibly fast search results that the 56k dominated era appreciated. 2000 birthed the digital Wild West. 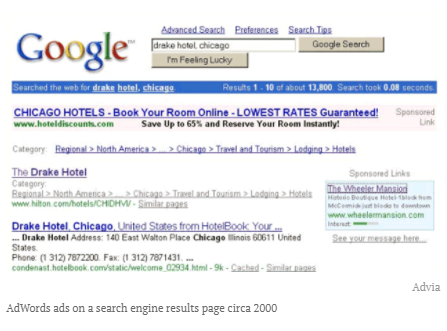 The launch of Google Adwords meant that millions of dollars were beginning to flow through the search engine. While that did compromise the previously simple interface, it also meant that profound opportunity was opened for marketers and business people alike. It was around this time that many companies popped up around that world that specialized in ads. Many big companies still weren’t won over by the idea of digital sponsored links and SEO positioning, tech-savvy people of the era were able to capitalize on a young, relatively unstandardized time for the internet that was completely undersaturated. It was during this time that invasive pop-ups and adware began to flow into the internet like a river. As fast and reliant as Google was, you definitely wanted to be careful what you clicked. As the biggest subdomain for Google, the launch of Google Images was a monumental release in 2001. Its button was added alongside Groups and Directory, providing insight into the multi-layered direction the search engine industry was moving toward. 56k was still the primary internet solution in 2001 (only 9.1% of U.S. households had broadband), meaning that the heavy weight of loading images made the user experience of Google Images quite unremarkable. But it was a huge addition that was ahead of its time and would play a role in Google’s surge of popularity in the coming years as it battled with Yahoo and AOL for the title of the world’s most popular search engine. From 2000 to 2002 millions of Americans added internet to their home (a jump from 51% to 58%~ of households). People were being won over by the accessibility of the digital world, and fast. 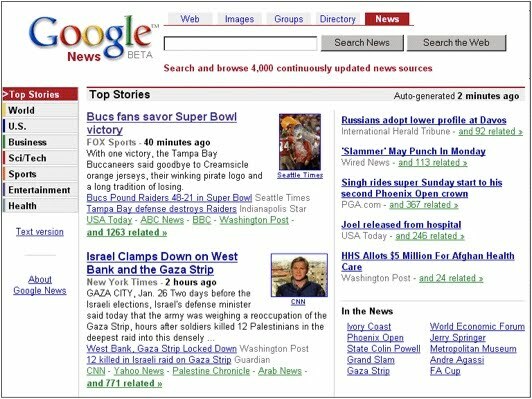 Google capitalized on this momentum with the release of Google News in 2002, a subdomain that served as a top-down look at trending stories around the internet. You could find world news, sports columns, and more without having to decide exactly what you were looking for. It was a huge addition that was a signal of a serious downturn for newspapers and cable media alike. Google Autocomplete was the first of its kind when it released in 2004. It added a fun new way to search the internet, and significantly improved the user experience of search workflow. It was around this time that broadband became much popular, and with that the more heavy features of Google (i.e. Google Images) became attractive solutions to a growing number of people. AOL and Yahoo were in trouble. It almost sounds funny in hindsight, but up until 1996 most people were using physical paper maps to get around. That changed around 1996 with the release of MapQuest, which would domite the spacial application scene for nearly a decade. 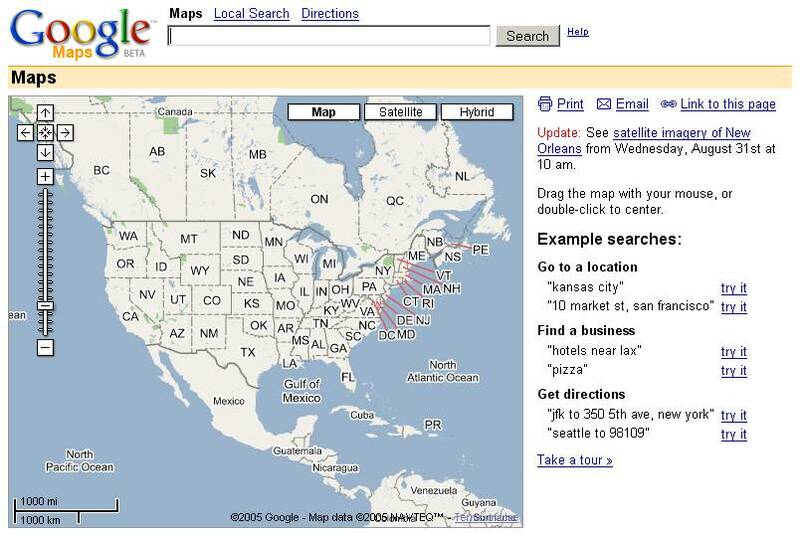 In 2004 its first serious competition emerged: Google Maps. It was rudimentary at the time, but was notable for its more user-friendly interface. It would take two years before Google Maps would overtake MapQuest as the world’s most popular digital mapping solution. Thanks to how slow 56k was, digital video was a rather unimpressive experience for most of the young years of the internet. Random websites rich with adware and P2P solutions like Kazaa served as the primary vehicles of consuming online video. In early 2005 YouTube changed the game with what was by far the most accessible and comprehensive video website on the internet. Coincidentally, Google released its competitor, Google Video, around the same time. Both were popular, but YouTube’s quickly growing platform was far too much for Google to overcome directly, so it outright bought the website for $1.65 billion in 2006. While it was probably a gross oversight, Google’s lack of a weather solution for so many years didn’t seem to hold it back much. That said, when Google Weather debuted in 2006 it was a big deal. No longer did many people rely on weather stations for forecasts. Instead, they could find out how they should dress tomorrow after searching for cat pictures. 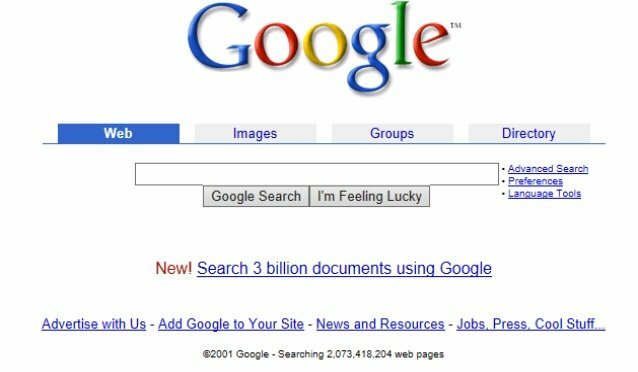 2006 was one of Google’s biggest years. YouTube was growing faster than anyone would have imagined. Google Sports Scores and Google Flights released around the same time as the popular Google Weather. With this, Google pushed to become the world’s most popular search engine, defeating the downtrending Yahoo and AOL platforms. 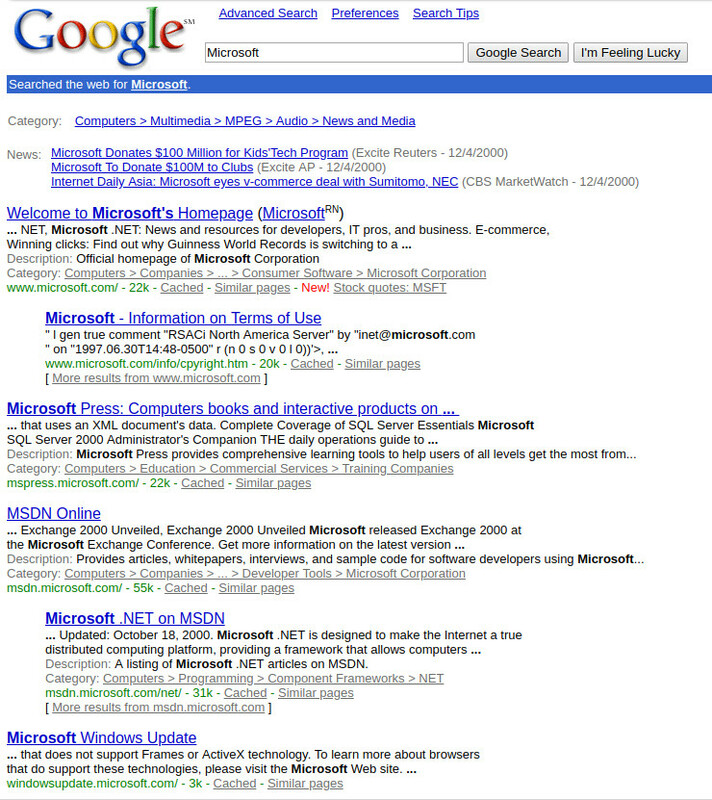 10 years after the inception of Google, this is how it looked. Here we are 20 years later, and while Google hasn’t changed much, you can see how far we’ve come based on the UI design alone. We now live in a digital age where the biggest brands and names in the world all use Google in one way or another, from GMail for communication, SEO for marketing, or Google Maps for getting around without worry.